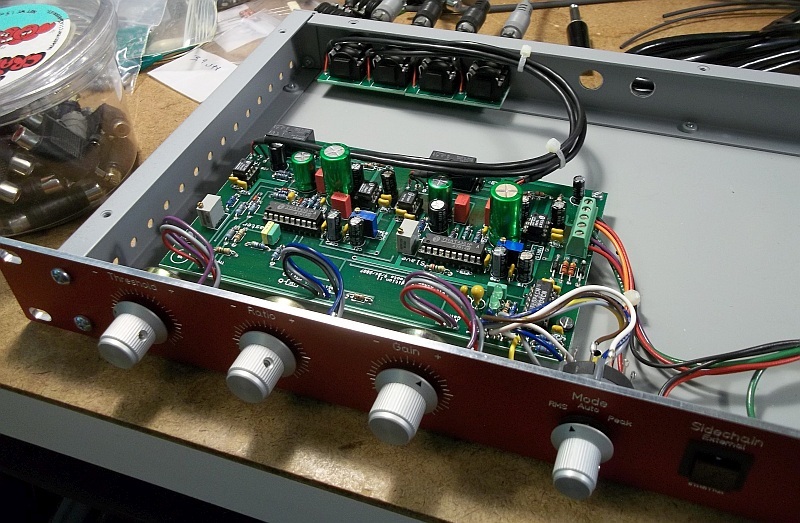 In 2006 Roger designed the Pico Compressor. As he developed it I suggested that he try True Power Summing to stereo-couple the units. We agreed that I would sell Pico boards and I received some of the early mono prototypes. I immediately tried True Power Summing. It worked very well. I'd played around with discrete rms detectors many years ago and remembered that the outputs could be combined with one another. After I proposed combining the detector outputs of the 4301 for the Pico Compressor and confirming that it was possible, I discovered that it had a name: True Power Summing. See THAT's application notes on the subject DN-116 (page 4) and DN-118 (page 2). Vocal stays out front eh? Close your eyes and it paints a picture. Now it is squashed I'll admit. But things don't move. As you can see there's lot's of wires though even though the true power sum portion is nothing more than a short between timing caps. (The slave channel is on the right.) Since my entry wouldn't win any beauty contests Roger built his. Checkout those Blue LEDs. 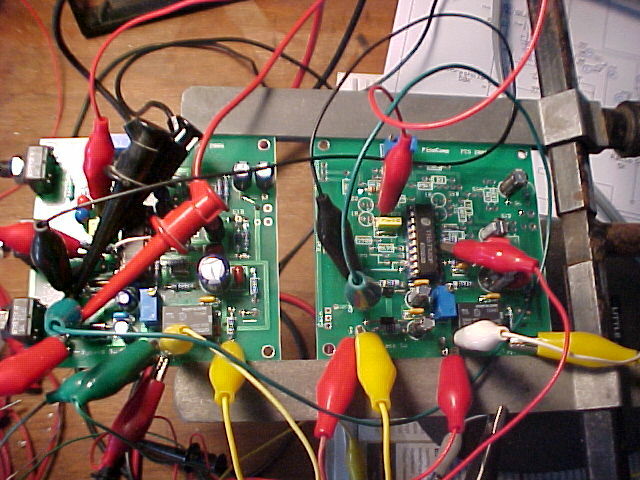 I sold and we supported lot of Pico Compressor boards from about 2006 until Roger decided not to do DIY anymore. That 2006 demo, and the True Power Sum "prototype" was the last time I ever listened to or fired up the Pico. When Roger did the "red face" units he sent me metalwork and a lot of parts needed to rack up a Pico SE. Now, ten years later, I finally built my Pico SE. I'm glad I did. Thank you Roger.